We love kids collage art! There are so many creative ways to make collages. 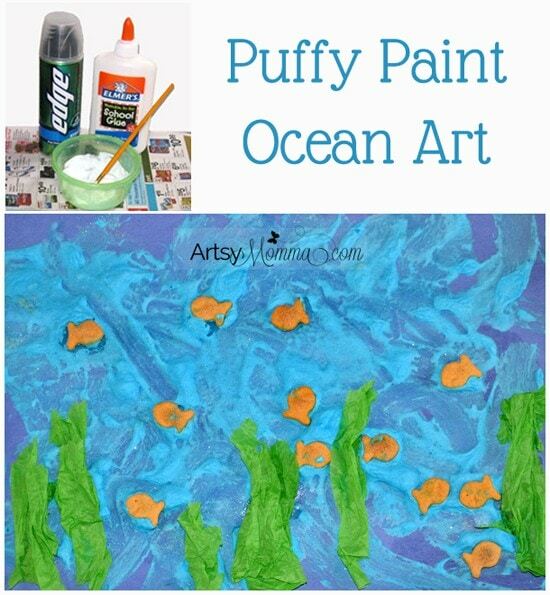 Here is a puffy paint ocean craft my preschooler made. 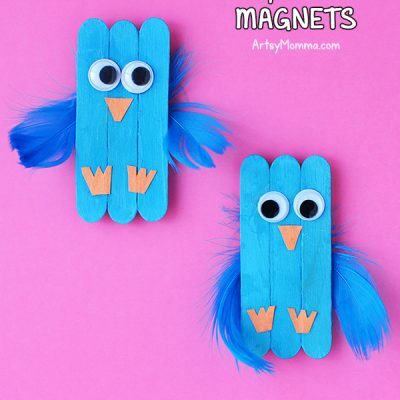 It’s easy to make in less than 10 minutes plus it uses goldfish crackers that have been dropped on the floor….hehehe. My daughter was eating goldfish crackers while making a different puffy paint craft. She dropped quite a few on the floor and instead of throwing them away, I had her use them in this fun art project. → Get the puffy paint recipe here. 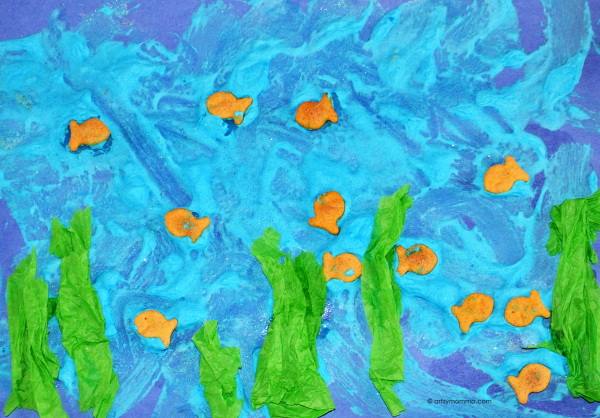 After creating the blue puffy paint, have the child paint a sheet of construction paper like they normally would with regular paint. Tear a few strips of green tissue paper. It’s fun for kids to tear tissue paper. If you don’t happen to have any on hand, green construction paper would work too. Place them along the bottom edge creating seaweed. All you have to do is just gently press it in place and it will stick even when dry. Next, take the goldfish crackers and place them all over the ocean. They will also stay sticking when the puffy paint has dried. Add anything else you think would look good in your ocean scene such as foam stickers. *This post contains Amazon referral links to the book mentioned. Please see our full disclosure policy here. Turn it into a counting activity! Little Sister loved counting as she placed each fish on. A cute counting fish book that we have read in the past that goes perfectly with this craft is Ten Little Fish by Audrey Wood. It’s a colorful book that rhymes while it counts down to one and then back up. This post is also part of a collaborative series with 4 other crafty bloggers. 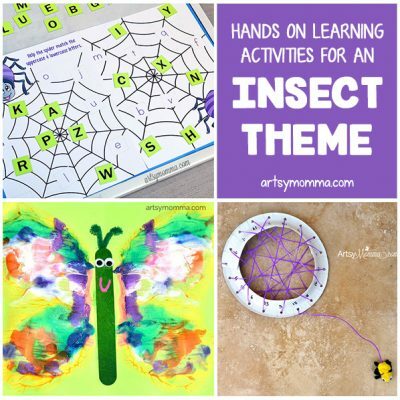 Twice a month we will be sharing ideas for the same preschool theme. The theme this week is OCEAN. We would love for you to check out their awesome posts! I have got to get that book from the library! It looks so fun and I love how you turned the project into a counting activity too. We love collages and this book. We will have to try this for sure!